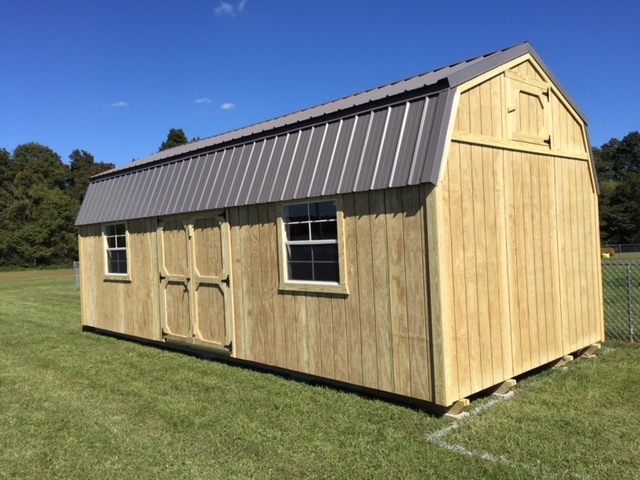 Our portable Lofted Barn storage sheds come with a 12 month warranty and range in size from 8x8 all the way up to 12x36. 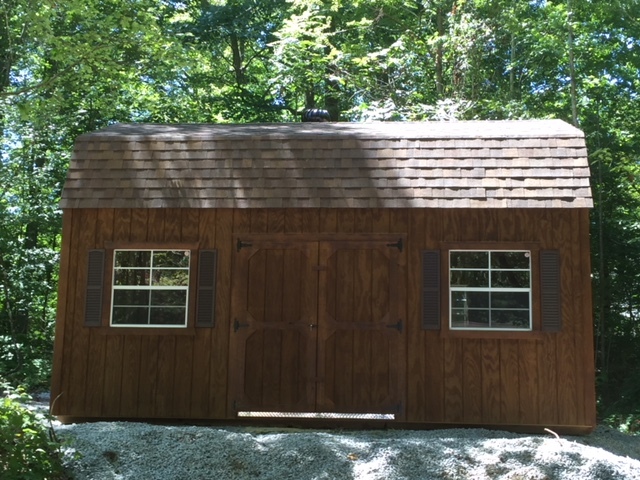 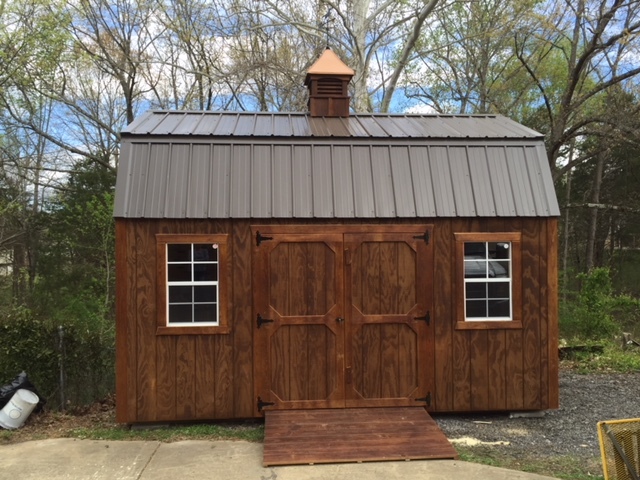 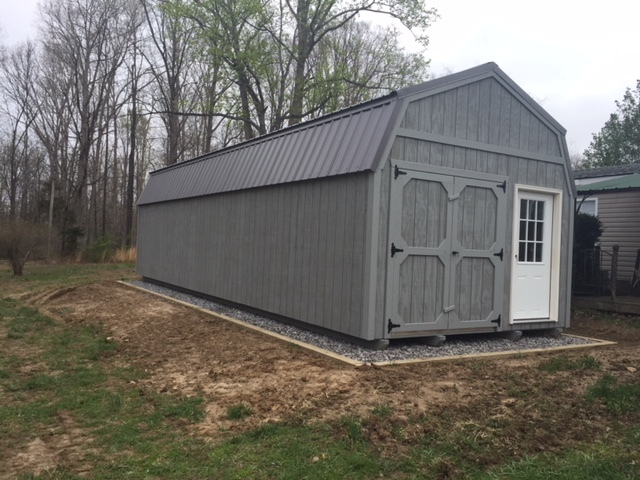 Lofted Barn storage sheds come with a loft in the front and back of the shed for lots of added storage space. 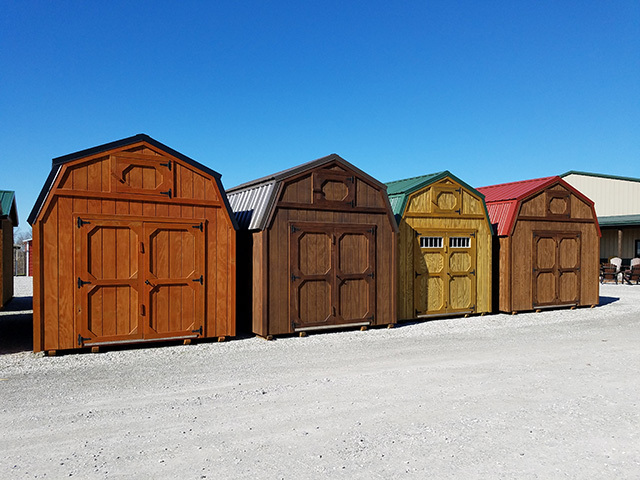 These sheds come in a variety of stains making it easy to fit any landscape.